The present study examines how exposure to relational aggression at school is associated with adolescents’ perceptions of, and participation in, a hostile school environment. Participants were 1,335 African American and European American adolescents in grades 7 through 12 (52% female, 49% African American). Results indicate that exposure to relational aggression is associated with several components of adolescents’ perceptions of the school climate. 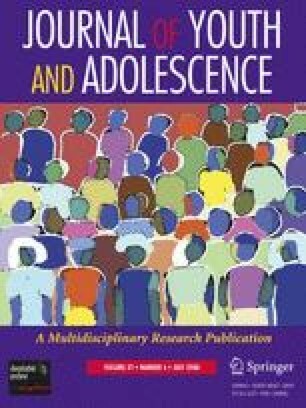 Adolescents exposed to high levels of relational aggression perceived their school to be less safe, and were less pleased with the general social atmosphere at school. Moreover, for males, but not females, exposure to relational aggression was associated with carrying a weapon to school. Implications and suggestions for future research are discussed in terms of working toward safer school environments for adolescents. We are grateful to the students, teachers, and other school personnel for making this study possible. This project was supported by research grants R03 AA01401-01A1 (PI: Amy Young) from the National Institute of Alcohol Abuse and Alcoholism and R03 DA018272-01 (PI: Carol Boyd) from the National Institute on Drug Abuse, National Institute of Health. We would also like to thank Daniel Chesir-Teran for his consultation on portions of the statistical analysis.